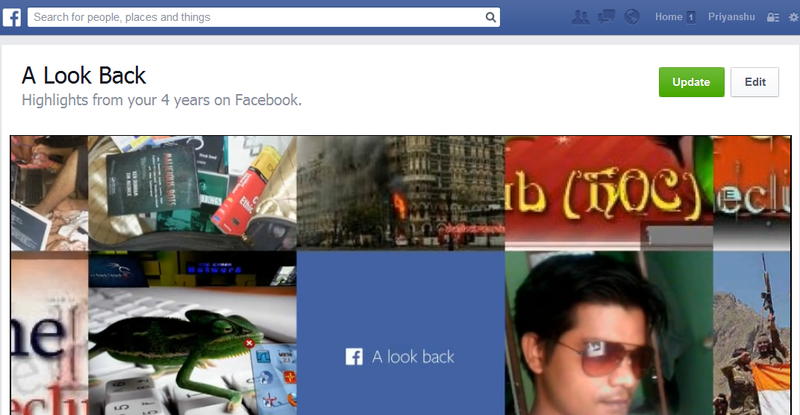 Now you can edit your Facebook Lookback. This is a great here you can edit your favorite pics which you want to show on. A Look Back is an experience that compiles your highlights since joining Facebook. Depending on how long you've been on Facebook and how much you’ve shared, you’ll see a movie, a collection of photos or a thank you card. Just Click on Edit button on the right side top corner and use the check-marks on your photos and other stories to adjust whether they appear in your movie. After you're done editing, click Update or Share Your Movie with your Facebook status.